John Deere has been helping you farm for over 155 years. We understand your business and we understand the heat, dust, and rigors of working in the field. 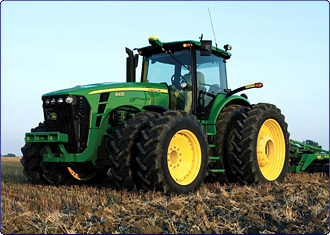 Repowering with a new John Deere PowerTech engine or a Reman Select engine is a cost-effective alternative to rebuilding. Email our Aftermarket Engine team at repower@bellpower.com for a quote.